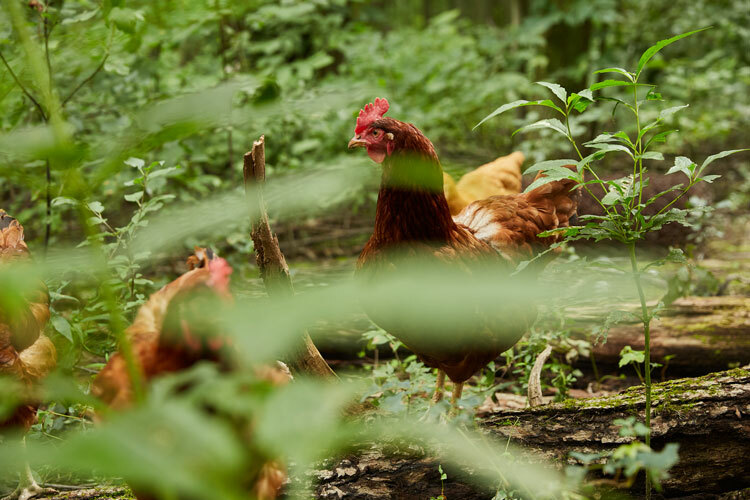 We've traded a safe home and healthy food for delicious eggs and incredible ecosystem services. Made up of Cayugas, Khaki Campbells, and rare Anconas, the duck flock is a highly respected ally of ours. Their love for slugs protects our mushroom crops throughout the growing season, and they lay giant, nutrient-dense eggs all year long. Frustratingly Free Range and Forest Raised! Chicken Channel is the most entertaining. And between the eatin', poopin', and scratchin' they turn any food scrap into great compost in no time at all. We truly love the partnership with these fowl. Our big guy. 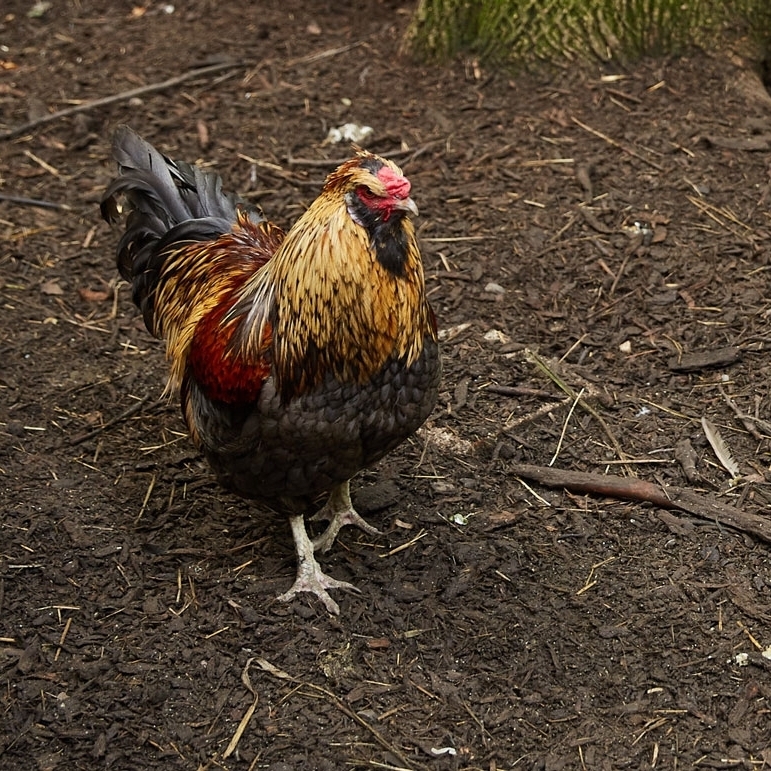 He’s a good rooster and really seems to enjoy his role playing lookout and finding yummy bugs for the others. The only hatchling from a clutch, Mirai (hope in Japanese) became very fond of her human parents, and us just as fond of her(?). Actually I’m not sure who this is. We have three identical buffs. But doesn’t she look happy sunning herself there? !